I’m back with another Money Mentality Makeover Success Story! Andee Love is so inspiring! When she started the course she had a business, but she was freaked out. She was freaked out around her debt. She was freaked out around her desire for nice things. She wanted more — but she was conflicted. Duplicity in your mind (the belief you can’t have what you want or the idea that there is something wrong with wanting what you want) will sabotage your manifesting every single time. You have to know what you want, know why you want it and know you can have it. Andee signed up for the Money Mentality Makeover, did the mother effing work and had some amazing results. In today’s video, she tells me that within 10 days of signing up for the course she received a check for $700. This course is my favorite thing in the whole world. The results blow my mind — and I am so thankful to be the vessel that get’s to bring forth these principals. 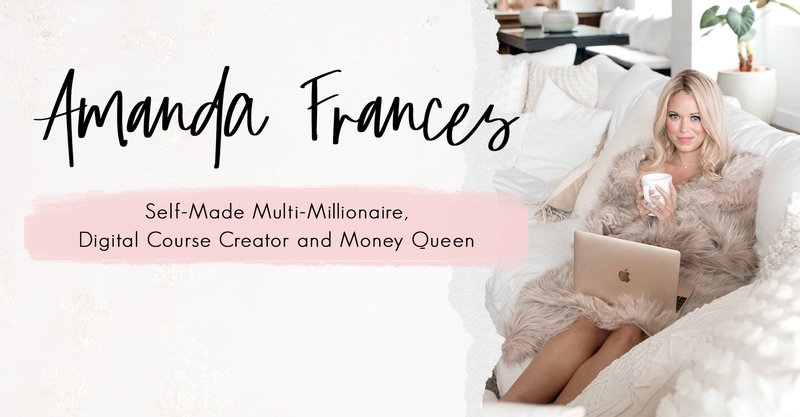 To see the other testimonial videos + get all the Money Mentality Makeover details + enroll in the course: Money Mentality Makeover! I am so ready for abundance! Let’s do this!